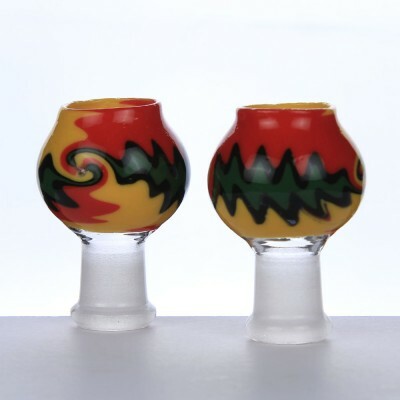 Here we present the colourful bowls for all kind of vapour bubblers or the oil rig bubblers. 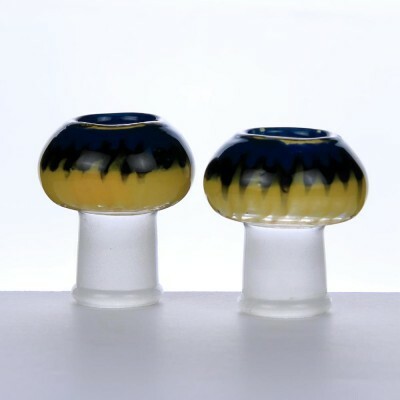 These bowls are in the 14 mm female socket and the 19 mm female socket. 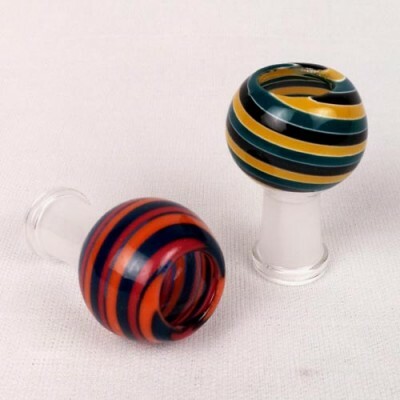 These glass smoking bowls readily fits into the male cone of the oil bubbler. 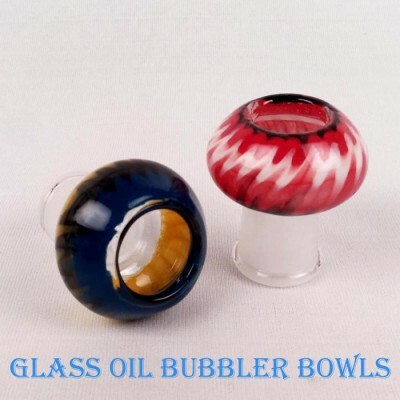 These colourful bowls are made of laboratory grade glass which is high heat resistant. 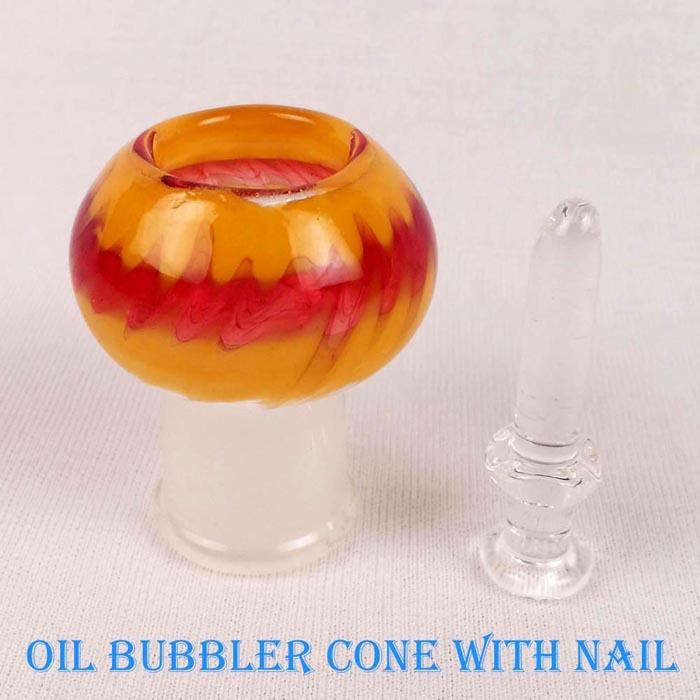 All the oil smoking bowls come with the glass nail that prevents the concentrate falling into the water chamber of the oil bubbler. These are the perfect smoking tools for vaping your precious concentrates and the essential oils. Silverline productions is the manufacturer of variety of glass smoking bubblers. This oil bubbler has the inbuilt down tube that goes down the water chamber. 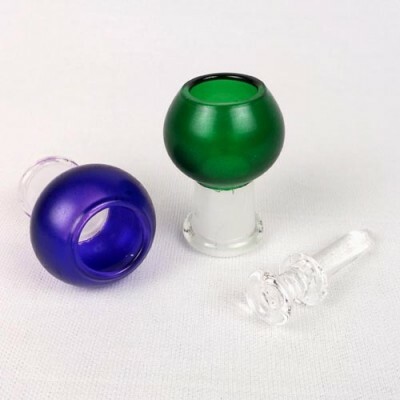 The oil bubbler cone comes in the 14mm and 19mm female socket joint. The glass concentrate nail slides in the joint perfectly and the 14 mm vapour dome with female joint seamlessly connects with the 14 mm male joint. The vapour is pulled down the fixed down stem and gets filtered and cooled by the water. This process results in a smoother inhale which is mild to the throat and lungs.